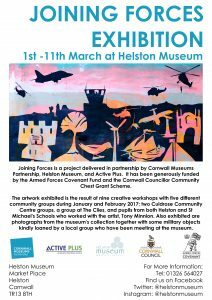 The Joining Forces Exhibition opened on Wednesday, 1st of March at Helston Museum and it will be running until Saturday, the 11th of March. 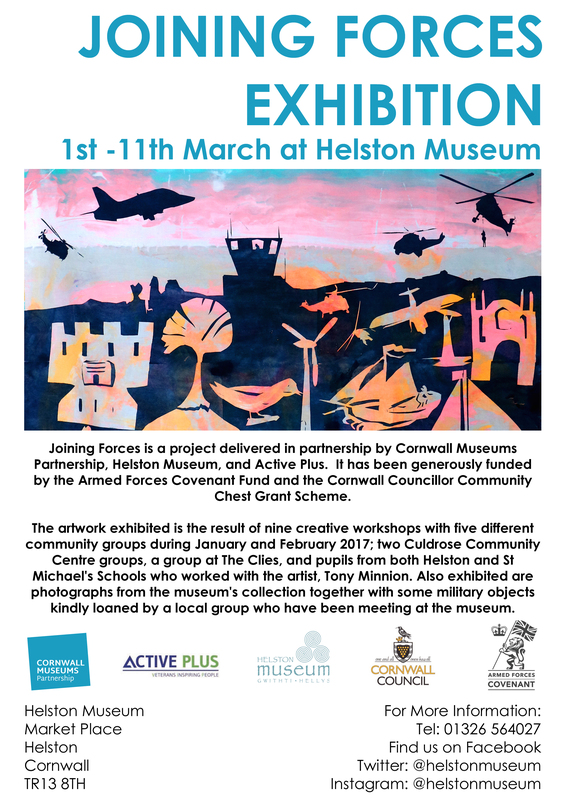 The exhibition will show the results of community creative workshops with artist Tony Minnion along with stories relating to the military history of Royal Naval Air Station Culdrose and artefacts from the museum collection. Joining Forces is a project delivered in partnership with Cornwall Museums Partnership, Helston Museum, and Active Plus. It has been generously funded by the Armed Forces Covenant Fund and the Cornwall Councillor Community Chest Grant Scheme. Two Culdrose Community Center groups, the Happy Crafters, and Friends and Family group, a group at The Clies, and pupils from both Helston and St Michael’s Schools.